Hair loss can threaten men’s confidence and feeling of self worth. Men can lose it all at the crown, temples and all parts of their head, leaving wispy strands that sometimes make the appearance even more awkward. Baldness occurs faster in men than in women and it is not just concentrated in one area of the head for men. Male pattern baldness is much more severe than female pattern baldness. There are various solutions to regain one’s head of hair. Topical treatments and hair supplements, wigs, toupees, hair weaves, a hairstyle change or shaving may help alleviate the problem and offer some hope but none of these are truly effective, long-term and permanent. The only long-term and permanent solution that will bring back lost hair in places where they have disappeared is a hair transplant procedure. Growing your own hair naturally and permanently is the only way to go. 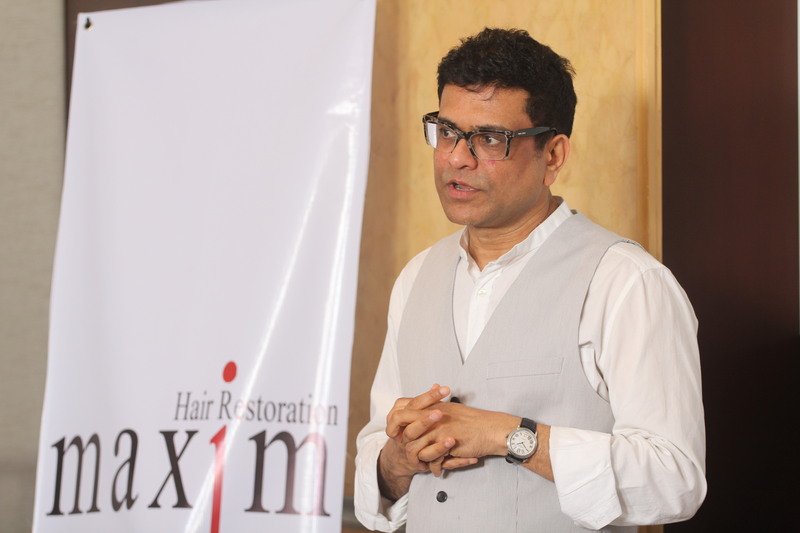 MAXiM Hair Restoration is the recognized expert on hair transplantation and other solutions to balding. It is a 13-year old international hair transplant clinic established in New York City that opened in Manila in 2004. The hair transplant procedures offered by MAXiM Hair Restoration can either be the advanced no-stitch, no linear scar technique called Follicular Unit Extraction (FUE) or the conventional hair transplant technique known as Follicular Unit Transplant (FUT). Both enable clients to grow back their hair via hair transplantation by harvesting hair from a donor area and placing hair grafts on the bald area. Also offered by MAXiM Hair Restoration is a non-surgical method called scalp micropigmentation. This produces a short buzz-cut look without the client undergoing an actual transplant. Staffed by doctors who are plastic surgeons assisted by certified nurses who serve as hair technicians, MAXiM Manila has happy clients who choose to have hair transplants for personal and professional advancement. Among the clients are professionals, overseas workers, international models, entertainment and sports celebrities such as Philippine Basketball Association (PBA) legend Alvin Patrimonio.